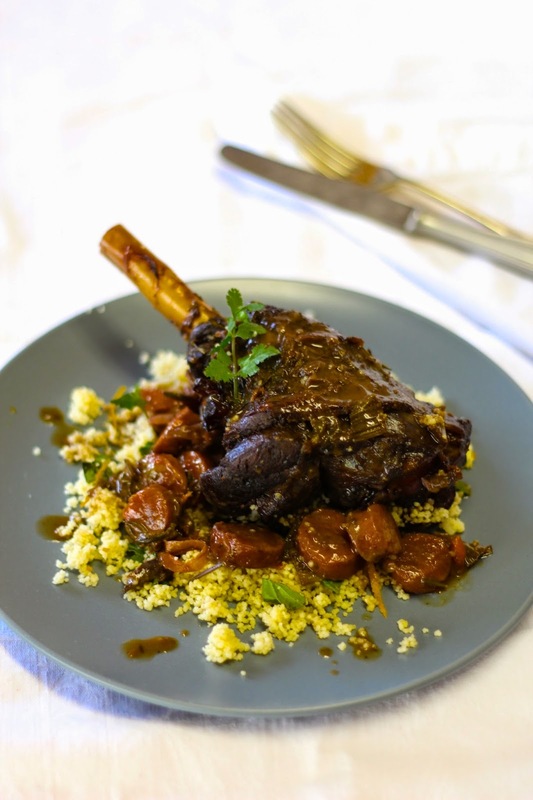 People are often amazed when you present them with a slow roasted lamb or springbok shank - 'oh wow' they grin 'that must have taken you hours' - but the only thing it takes hours to make is the oven. The dish itself takes 10 minutes to put together and then you let the oven do the rest! Honestly - it's too easy for words. 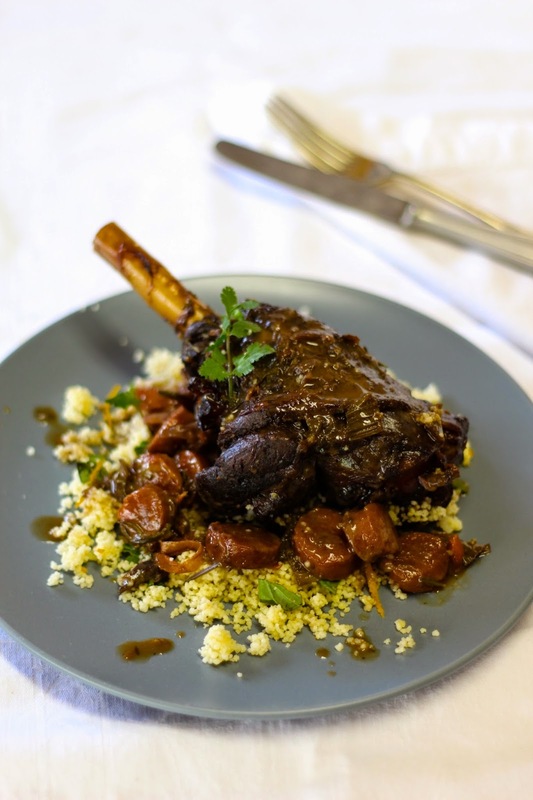 I used Springbok shanks as I felt like something different but you can use lamb shanks just as easily. Feel free to use white wine instead of red and add a tin of tomatoes if you prefer the flavour - there's not really much you can do wrong! 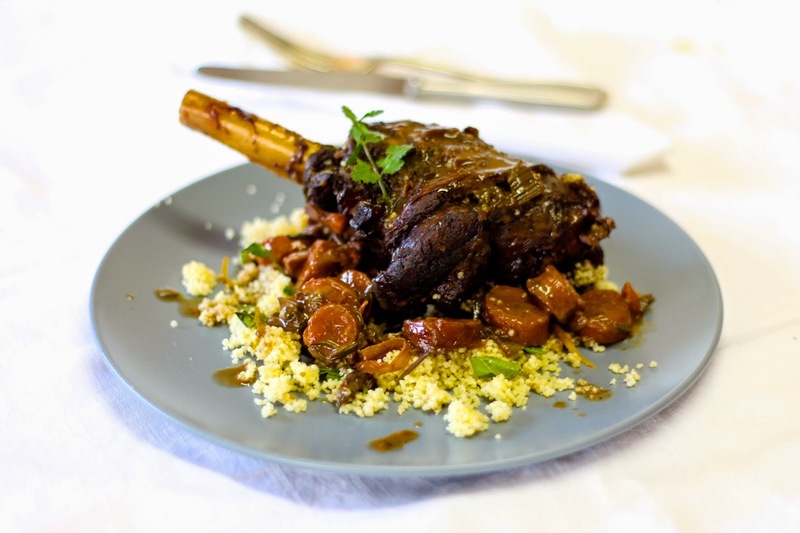 *The bigger the shanks, the tougher the meat, as Springbok shanks have very little fat on them. Season the shanks and place a large, oven-proof, casserole dish on medium-high heat. Brown the shanks in a little olive oil, turning until the exteriors are nicely caramelised, then remove from the casserole dish and set aside. Pour in a good glug of olive oil and pop in the onions, carrots and celery and season with a little salt and pepper, saute for about 8 minutes, turning constantly, before removing from the heat. Push the shanks into the bottom of the dish under the veggies and add the remaining ingredients. Put the lid onto the casserole dish and pop into the oven. Turn the oven down to 180*C and roast for 3 1/2 hours, turning the shanks every hour and checking that not too much liquid has evaporated - if too much of the liquid evaporates just add another cup of water and continue the cooking. Wonderful! Let me know how it goes - nothing beats a lamb shank sunday lunch!! !